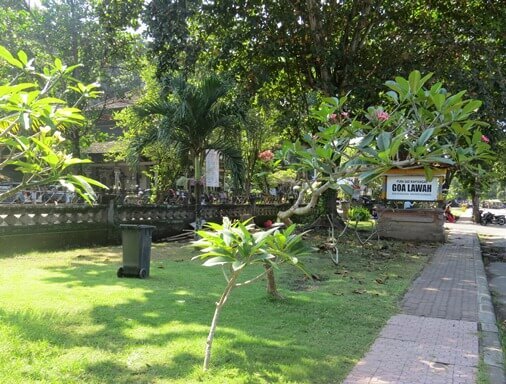 Goa Lawah is located in the Pesinggahan Village, the District of Dawan, Klungkung Regency, Bali. The cave is occupied by thousands of bats, so often called the "Bat Cave Temple". This place is easily accessible by car, less than two hours from Ngurah Rai Airport throgh the Jl. Prof. Dr. Ida Bagus Mantra. There is parking lot in front of the temple, as well as food-stalls (warungs), souvenir shops, and more. Goa Lawah Temple is closely related to the journey of the holy priest from East Java named Dang Hyang Nirartha. Locals believe that this cave leads up to Besakih Temple. The southern area of the temple is directly adjacent to the beach. A black sand beaches, beautiful and exotic. This location is also home to the traditional salt making from the sea water. You can walk along the beach while enjoying the waves, the blue sea, cool sea breeze, and the direct view to Nusa Penida. The waves here are strong, so it is not recommended to soaking and swimming. This is also a spot for surf fishing. Several surf anglers are seen on the beach, waiting enthusiastically.